All flights to Cocos Island depart from the Perth International Airport. Virgin Australia Airlines have restructured flight schedules to the Cocos (Keeling) Islands as of the 15th October 2018. Virgin Australia Regional Airlines are now flying to the Cocos twice a week – on Tuesday and Friday. Please contact Virgin Australia for up-to-date information and bookings (you can also check flights through our links page). 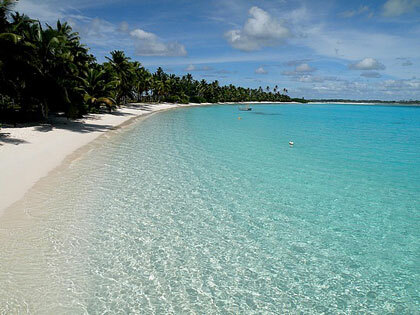 Casual, comfortable clothing is all that you need in the Cocos Islands. Make sure you bring a hat, bathers, sunscreen and sunglasses. Our rooms provide beach towels and umbrellas to reduce the amount of baggage on your trip. Shoes for reef walking and beach combing are a great idea (old sneakers work well). If you are planning a trip to Home Island then please respect Cocos Malay culture and dress conservatively, covering your shoulders. We recommend that you bring plenty of snack foods or other special foods, like gourmet cheeses, that you may like during your stay. These items are often difficult to obtain on Cocos. Please ensure that all food items you bring with you have been bought from a major supermarket (presently you need to keep receipts for tomatoes and capsicums) to comply with Quarantine requirements on arrival. Please pack any food in your checked in baggage as it may be confiscated as hand luggage. with the settlement located mid-island. Rental cars are available for hire and advance bookings are recommended. The local bus runs from the town centre to the jetty at Rumah Baru. There is a bus stop 50 metres from Cocos Seaview. The ferry runs between West Island and Home Island several times daily (except Sundays), as well as special trips to Direction Island on Thursdays and Saturdays. There are up to date compendiums in all our suites regarding things such as bus and ferry timetables, local attractions, etc. The Cocos Island Visitor’s Centre and the Resource Centre, now combined for your convenience, will direct you to the areas you will enjoy most. As well as providing information and internet & fax needs you will be able to book tours provided on Island. The Cocos Islands Post Office provides Australia Post services as well as postcards, stationery and magazines. The supermarket carries a good range of products. 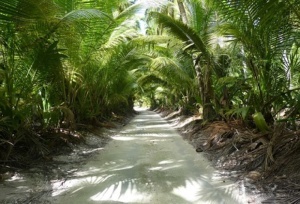 The Cocos Islands Duty Free Shop is open week days and carries a range of perfumes, electrical items, toys, clothing, souvenirs, jewellery and postcards. The Big Barge sells local arts and crafts. Although no passport is required for Australian citizens a passport is advised to ensure a smoother transition through the boarding process. If no passport is available to you some form of photo identification is necessary. No entry visa is required. Local currency is the Australian dollar. Most shops and businesses will accept Visa and Mastercard. There is an ATM available in the Visitors Centre (during opening hours) for emergency cash. There are several eateries on Cocos. Tropika Restaurant on West Island provides daily western style meals for breakfast, lunch and dinner, with a selection of buffet and a la carte meals. Maxi’s by the Sea Café serves coffee, cake and light meals overlooking the ocean. Opening hours are shown on the door. Rasa DiSayang on Home Island offers a fusion of Seychelles, Malay and international cuisine and is open on Wednesday nights to coincide with the return ferry service to West Island. Bookings are required. The Club is open everynight of the week (bar Good Friday and Xmas Day) and offers meals on set days and on certain occasions. Check on arrival. If you want to enjoy a picnic by yourselves, there are several great areas around the island, each with their own BBQ. You can also relax around the Cocos Seaview BBQ area or take one of our picnic sets to a remote corner of the Island. Catch a fresh fish or crack open a coconut while you’re there. 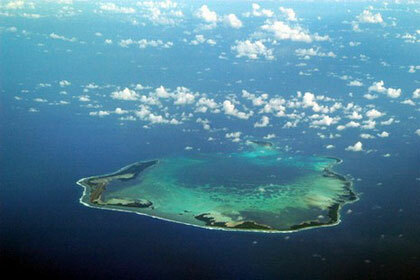 Cocos has a mild tropical climate. Temperatures through-out the year range from a beautiful 20 to 32 degrees Celsius. The weather for most of the year is dominated by trade winds from the South-East of approx. 15 knots. Rain occurs most often during the night, with an annual rainfall of approx. 2000mm. Rainfall is generally highest during March – May. Tropical cyclones can occur between November and April, although this period is mainly hot and sultry with light winds.